Heineken rolled out two new commercials in Europe, on the heels of a two-year campaign in the US featuring Neil Patrick Harris. The yellow and red fruit drink has sparklers, smoke coming out, and a bird “head,” among other decorations. Next to him at the bar are two women, looking at him with some incredulity. The campaign is running in Germany, UK, Spain, France, Austria, Sweden, Switzerland, Hungary, Croatia, Romania, Norway, Finland, Lithuania and Russia. It is the second LGBTQ-inclusive Heineken European ad in just a few weeks; the other one is trans-inclusive. Pairs of people representing opposite points of view are sent into a warehouse with some instructions and a piece of furniture to build. They include a feminist, a trans woman, and a climate activist, each meeting someone who doesn’t believe in these matters. The pairs start working together to build something without knowing that they fundamentally disagree, creating a bond before they are told to stop and watch a video interview of the other person as they express their views. The camera catches their faces as they react to learning the other represents their opposite. They’re then given a choice: They can leave or try to discuss their differences over a beer. All the pairs stay, and share a human moment of understanding. Meanwhile in the US, Neil Patrick Harris has pitched Heineken in a humorous ongoing series (all three are from ad agency Publicis) for a few years. One in particular had heavy sexual innuendo, causing some homophobes to get bent out of shape. 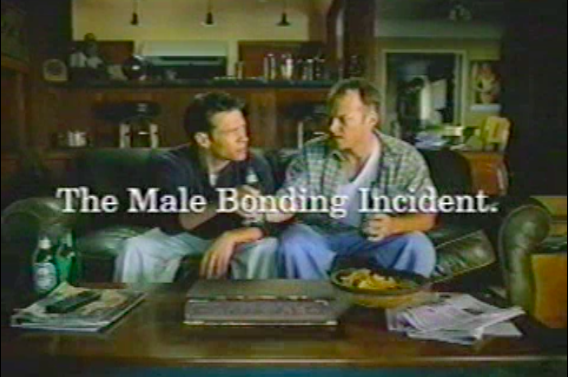 With a deadpan “spokesman” delivery marking the whole series, Harris claims “Heineken Light makes it okay to flip another man’s meat” as a bearded man grills near him. “No, no, no. You never flip another man’s meat,” the man corrects. In spite of the now LGBT-friendly ads, Heineken has not advertised directly in gay media in the US, but has done so in Europe, such as during Christopher Street Day in Germany. Like a lot of big international brands, Heineken’s LGBT-themed commercials have come a long way since the late 1990s and early 2000s. One from 1996, called “Wrong Bar” is set in “Chicago, Halstead Street” — a famous gayborhood. When the other says “Frank” told him about the bar, the first guy asks, “Accounts Payable Frank, or Account Services Frank?” The answer is Account Services Frank and then the words “Whoops” appear, indicating the gay one. 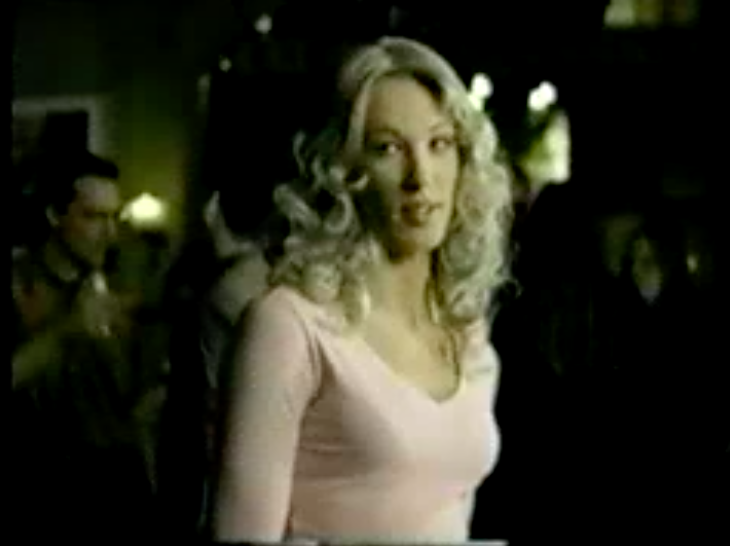 In 2001 through 2003, Heineken’s Amstel Light brand ran an unfriendly male-to-female trans ad in Ireland. Several friends in a bar spot a woman from behind, but they doubt her gender. So one guy walks over to present a test for the woman, who has long blonde hair and is wearing a pink blouse. “Off side,” she answers in a deep voice. He simply says thanks and walks away with a smile. He returns to his friends and announces, “It’s a man.” One of the two has obviously won the bet and the other two laugh triumphantly. Michael Wilke has covered LGBT issues in advertising since 1992, is the founder of Commercial Closet/AdRespect.org, and Senior US Consultant for LGBT marketing and diversity firm Out Now. Don’t believe for one second that any single beer company or any corporation is really pro-LGBT. The only thing the are pros about is their bottom line. The test was an interesting one.